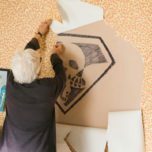 Supergirl 3.16 Synopsis: "Of Two Minds"
The third WorldKiller, Pestilence is making her presence known in Supergirl Season 3 episode 16, titled “Of Two Minds”, which will air on Monday, April 30 at 8/7c on the CW. 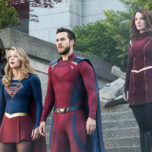 Reign (Odette Annabel) , Purity (Krys Marshall), and Pestilence seem to be united in their mission to cleanse the earth, but, unfortunately, Saturn Girl (Amy Jackson) and the Girl of Steel (Melissa Benoist) not on the same page as to how to defeat them. Of course, a difference in strategies is not the only source of tension between the two superheroes. We learned before the hiatus, Imra’s marriage to Monel (Chris Wood) was more of a political arrangement and Monel may still have lingering feelings for Kara. 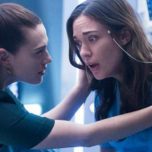 However, with Alex (Chyler Leigh) and Winn’s (Jeremy Jordan) lives at stake, can Kara and Irma find some common ground to stop Pestilence before it’s too late? Check out the synopsis for “Of Two Minds” below. Supergirl Season 3 is back with all new episodes Mondays at 8/7c on The CW!